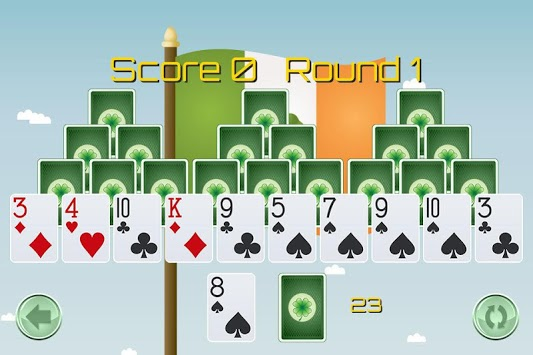 The classic card game of Tri Peaks Solitaire with a St Patrick's Day twist. 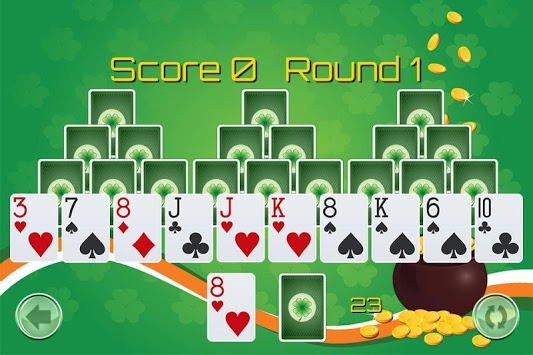 The classic card game of Tri Peaks Solitaire with a St Patrick's Day twist featuring great graphics and sounds optimized for the latest devices. Clear out a stack of 28 cards dealt in the shape of three connected pyramids. You can clear a card from the pyramids if it is higher or lower than the card at the bottom of the screen. 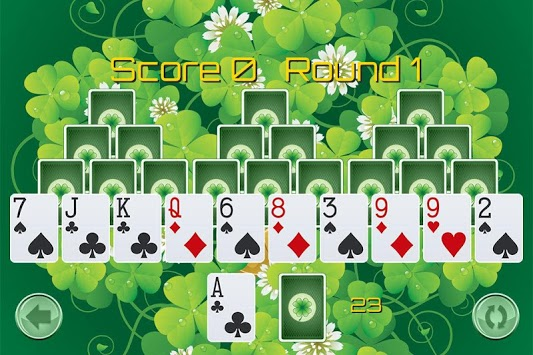 If you cannot match any cards simply click the deck to deal another card from the 24 cards in the deck at the start of the Round. You can go "around the horn" and match a King to an Ace and vice versa. If you deal all of your cards and cannot match the game will be over.